Antonio Orozco (22-0, 16 KOs) is ready to become champion. He is getting his opportunity on Friday in Fresno, California, against the WBC super lightweight champion Jose Ramirez (27-0, 17 KOs). Orozco is a humble, easy going man who is willing to listen in order to get things done. He sticks to training and fighting, leaving his team, headed by his manager Frank Espinoza, to decide who he fights and when. Fightnews.com® spoke to Antonio along with Espinoza. “I’m ready to become world champion. My time is now,” said Orozco. Three-time manager of the year Frank Espinoza, who recently signed Eddy Reynoso to train one of Espinoza’s boxing stars WBO featherweight champion Oscar Valdez, has agreed to terms to let Orozco challenge Ramirez in his own home turf in Fresno, California. 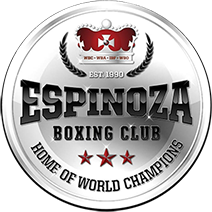 Espinoza has crowned 12 world champions and he wants Orozco to be his 13th world champion. His new relationship with Eddy Reynoso has been well publicized and Espinoza has high hopes for the Valdez-Reynoso partnership. “I had three meetings with Eddy before he accepted to train Oscar. I convinced Eddy who is a very busy man, Valdez and the team agreed that it was the best choice. I know Eddy is completely dedicated to Canelo’s career but he accepted because he knows the talent and skills Valdez has and they will work perfectly together,” he concluded.